Microcosm has been developing digital security solutions for nearly 30 years. Our experience and expertise is recognized by thousands of customers globally. Whether you need to protect your software against piracy, secure logins in your web application or protect digital identities in your organisation, discover what we can do for you today. Protect your privacy online. Protect against weak password logins, hackers, phishing scams and keyloggers. 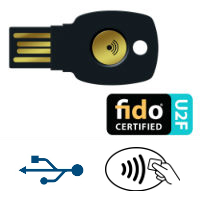 USB and contactless two-factor authentication tokens. OATH-compliant event-based and time-based one-time password tokens. Available in key fobs and display cards. 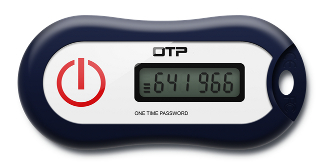 Compatible with all authentication servers supporting OATH HOTP and TOTP. 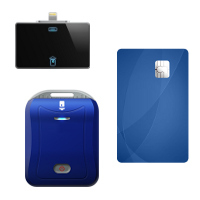 Contactless and contact (chip), ISO-7816 compliant Java Card smart cards. Readers available for all platforms - desktop, tablet and mobile. Connectivity via USB, Bluetooth and Lightning.